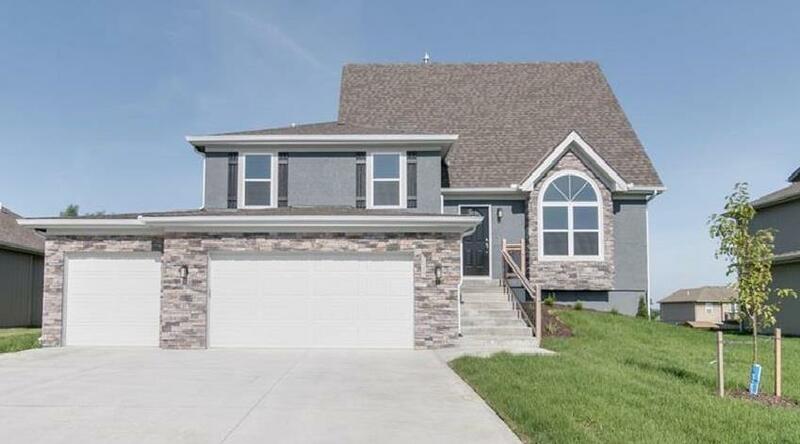 Brand new home with lots of space! 5 bdrm, 2 1/2 bath, beautiful wood floors throughout the main level, stunning eat-in Kitchen w/ painted cabinets, Granite countertops, upgraded lighting, walk-in pantry & stainless steel appliances. Living Rm includes a brick, gas fireplace. Convenient bedroom level laundry. Private Master Suite with walk-in closet and gorgeous Master Bathroom with tiled shower. Upgraded high-efficiency furnace, 10x10 Deck, 10 x 12 patio, upgraded windows and more!